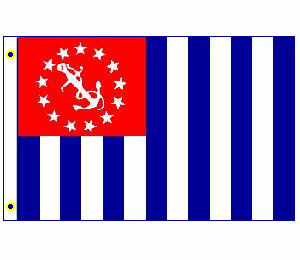 US Power Squadron ensign flag. 100% Nyl-Glo outdoor material. Double heading and heavy duty brass grommets. Made for, and sold exclusively to members of the United States Power Squadrons.